Mr Chamisa and his entourage, which included party deputy national chairman Mr Tendai Biti, chief whip Mr Prosper Mutseyami and several of the party's Members of the National Assembly, chose to arrive at the burial as the main speaker, Oppah Muchinguri-Kashiri, was delivering President Emmerson Mnangagwa's speech. Very few people noticed their arrival. Mr Chamisa, who is increasingly proving to be a protocol greenhorn, tried to gate-crash into the VIP stand, but alert security details stopped his entourage from accessing the reserved seats. "We are gathered here to bury someone who was humble in his career. Tuku was humble and always preached the gospel of peace, unity and love. He was one person who believed in the concept of charity beginning at home. "As leaders, our backgrounds are a true reflection of what we represent or stand for. We have people in our midst who do not practise what they preach. We have some people who pretend to be peace ambassadors, yet they fan violence and we should be wary of them." Muchinguri-Kashiri urged mourners to always shun violence. "Do not be used by those with sinister agendas," she said. "You should know that when you murder a person in the name of politics, the avenging spirit will haunt you and your family and not the people you will be trying to please. "We should emulate Tuku's good work as he has united us." Permanent secretary in the Ministry of Information, Publicity and Broadcasting Services, Mr Nick Mangwana clarified the issue and said: "He was not barred. All other dignitaries including ministers were parking their cars outside and walking in. But Chamisa refused and wanted to drive in. Security protocol did not allow this and he walked away. He was not denied entry. 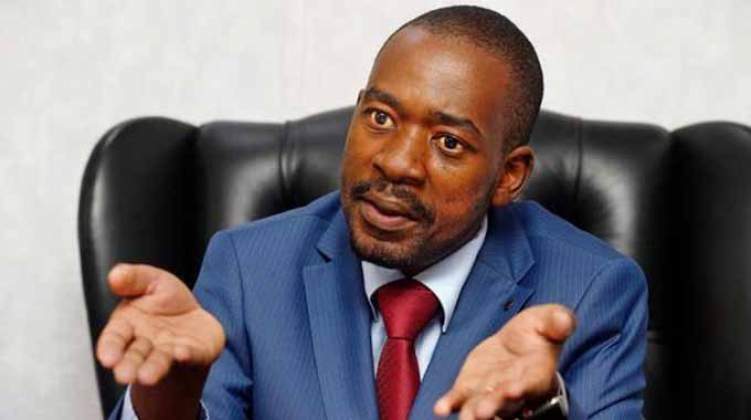 Chamisa is being a drama queen. A prima donna out to attract attention for the sake of it. Government has no business barring people from funerals or any functions, but protocol has to be followed. We are not a chaotic Government."